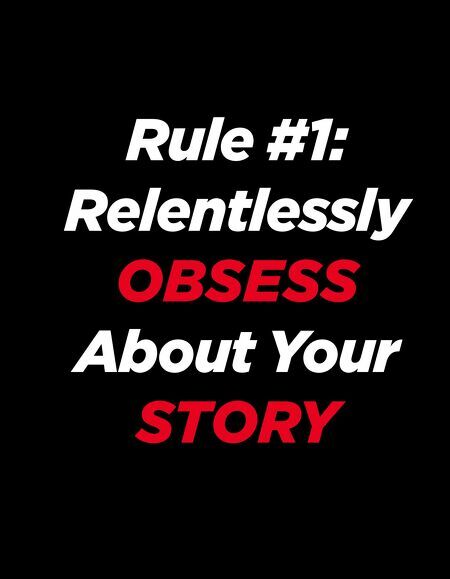 INFECTIOUS MESSAGING · Rule #1: Relentlessly obses s about your story AT TREND HUNTER, we've published 50,000+ articles. Being one of the world's largest blogs, each article has the potential to ripple through the blogosphere, but only if the headline is interesting. 248 For example, the day Sarah Palin became a vice-presidential candidate, someone wrote an article titled "Female Vice Presidents." We published it, but I thought that the title didn't really hit on what made Sarah Palin so popular. People weren't really interested in the fact that Sarah Palin was female. Hillary Clinton was female too, but Google searches for "Sarah Pa- lin" were more than 10 x higher than Hillary Clinton's all-time peak. Pub- lic interest in Palin was more specific. So I performed a test. I wrote a second article titled "Hot Vice Presidents." The results were astounding. "Female Vice Presidents" received 30,000 views, but "Hot Vice Presidents" pulled in 1,100,000 views. It also contrib- uted to Trend Hunter being featured on CNN, FOX Business News, and in an article by the Associated Press. At Trend Hunter, we have the luxury of being able to test our word choice and see a measured view count for each test. For most products, the goal is immeasurable buzz and word of mouth. But the lessons from Trend Hunter are equally applicable: Careful word choice can have an astounding impact on the viral potential of your message.